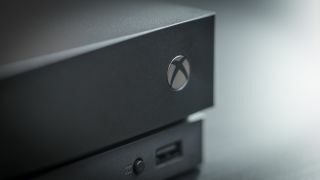 Originally slated for the April 2018 Xbox One update, Microsoft is finally adding 120Hz support on its consoles. The May 2018 Xbox One update finally lets users take full advantage of their high-refresh screens. The new 120Hz capabilities should grant users smoother gameplay and faster reaction times, but you’ll actually need a display that supports this – of which there are only a few TVs and but a much greater number of gaming monitors. Also, because of hardware limitations, 120Hz mode is also sadly limited to 1440p and 1080p displays for now, plus you'll need either a Xbox One S or Xbox One X. Of course, true 4K gaming at 120Hz on your Xbox One is a long ways off from now. Today's update also allows users link their Xbox and Discord accounts together. But before you get too excited, you won’t be able to advantage of Discord's voice and text chat services. Instead, it’s merely a way of showing off your Xbox One activity. Xbox Live parties have been great for more than a decade, but cross platform chat is where it’s at now. Hopefully Microsoft will iterate on the Discord integration to add voice and text chat in the near future. Other than those two mainline features, the May 2018 update also adds improved family settings, a modern look for the Xbox Accessories App and a faster way to trim your recent game captures directly from the Guide. What about the latest updates for the PS4?